A trip to the Maldives in the Indian Ocean was a change in type of diving for me and made a welcome break from the British winter. I entered the water just as the sun was setting and light levels were quickly falling. 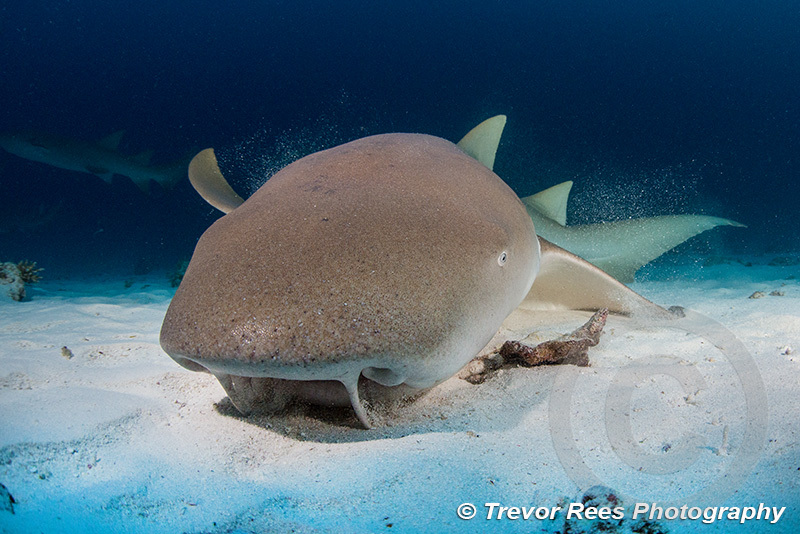 Several nurse sharks soon appeared and I was able to get a close up shot close of this one. It was a known location where nurse sharks were used to feeding on food scraps from one of the island resorts. These inshore bottom dwelling sharks are somewhat nocturnal. They may lack the excitement of other more aggressive sharks but at up to 3 meters long are impressive beasts to see up close. Nikon D600, Sigma 15 mm, dual Sea & Sea YS110 strobes.